To claim this profile, please confirm you are Auxanne Beugre. To follow this profile, please let us know your relationship to Auxanne Beugre. RESULTLoss Girls varsity basketball @ Lick-Wilmerding. The Ygnacio Valley varsity basketball team lost Wednesday's away playoff game against Lick-Wilmerding (San Francisco, CA) by a score of 70-29. 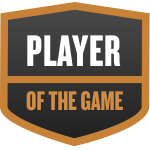 Auxanne was selected the Player of the Game in the basketball game against Concord on Fri, Feb 08 2019. Auxanne's basketball stats have been updated for the win vs. Concord. The Ygnacio Valley varsity basketball team won Friday's home conference game against Concord (CA) by a score of 69-35. Auxanne's basketball stats have been updated for the win @ Berean Christian. RESULTWin Girls varsity basketball @ Berean Christian. The Ygnacio Valley varsity basketball team won Tuesday's away conference game against Berean Christian (Walnut Creek, CA) by a score of 73-31. Auxanne's basketball stats have been updated for the loss @ KIPP King. The Ygnacio Valley varsity basketball team lost Saturday's away non-conference game against KIPP King (San Lorenzo, CA) by a score of 69-68. Auxanne's basketball stats have been updated for the win @ Mt. Diablo. RESULTWin Girls varsity basketball @ Mt. Diablo. The Ygnacio Valley varsity basketball team won Friday's away conference game against Mt. Diablo (Concord, CA) by a score of 63-36. Auxanne's basketball stats have been updated for the win vs. College Park. The Ygnacio Valley varsity basketball team won Tuesday's home conference game against College Park (Pleasant Hill, CA) by a score of 66-41. Auxanne's basketball stats have been updated for the win vs. Buhach Colony. RESULTWin Girls varsity basketball vs. Buhach Colony. The Ygnacio Valley varsity basketball team won Saturday's home non-conference game against Buhach Colony (Atwater, CA) by a score of 50-35. Auxanne's basketball stats have been updated for the loss vs. Benicia. RESULTLoss Girls varsity basketball vs. Benicia. The Ygnacio Valley varsity basketball team lost Friday's home conference game against Benicia (CA) by a score of 58-49. Auxanne's basketball stats have been updated for the win @ Concord. The Ygnacio Valley varsity basketball team won Tuesday's away conference game against Concord (CA) by a score of 45-35. Auxanne's basketball stats have been updated for the loss @ Forest Lake Christian.